First and foremost, thank you for your interest in becoming an EmeryAllen distributor! To begin the distributor process, you will need to fill out an EmeryAllen credit application and new accounts package (click on button below to download). This includes agreeing to the EmeryAllen Terms and Conditions, Warranty and IMAP policy. We love learning about our customers! So, please provide as much information about your business as possible. 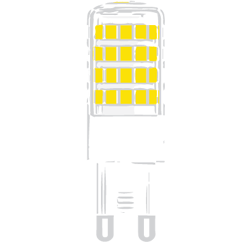 We look forward to the opportunity to serve you and to provide you with the best miniature LED bulbs on the market. Upon completion, please submit the package, with a copy of your Resale Certificate, to Info@EmeryAllen.com. If you have any questions or want to become a distributor outside of the United States, please contact us at Info@EmeryAllen.com. What do distributors, lighting showrooms and contractors need to do?